What are business angels and what can they offer? Dragons’ Den has popularised the notion of being or seeking money from angel investors. But what is an angel investor? While many know the faces of Duncan Bannatyne, Peter Jones, Deborah Meaden and a clutch of other successful entrepreneurs to have appeared on the show, there are 18,000 more of them. The UK Business Angels Association estimates that these 18,000 business angels privately invest an average of £850m each year (more than two and a half times the amount of venture capital invested in a typical year). 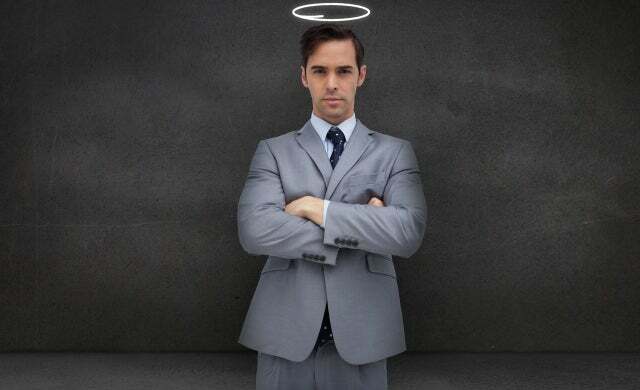 In recent years it has been running its ‘Be an angel’ campaign to encourage more people with high disposable incomes or accumulated wealth to consider the merits of becoming an angel investor. If you’re an early stage start-up looking for funds, an angel investor could provide you with the capital you need to launch your start-up. But how does angel investment really work and is it right for your business? Business angels are affluent and wealthy individuals who invest their personal capital in start-up companies (that are typically early-stage) in return for an equity stake. Most angel investors expect to see a return on their investment of between two and 40 times their investment within three to eight years and some will take an active role in the investee business. This potentially means sitting on your company’s board or acting as an advisor whilst others may want to become sleeping partners and simply provide your business with capital. Research carried out by business innovation-focused charity NESTA and the UK Business Angels Association suggested that business angels in the UK typically make 22% IRR (internal rate of return) on their deals. The Siding with Angels report found the figure was 27% IRR in the US. Corporate. Companies that make regular investments, often for majority stakes. Arguably, you could add a seventh. Crowdfunding via equity-based sites such as Crowdcube, Seedrs, and Bank to the Future, has made it possible for pretty much anyone to put some of their savings into fledgling ventures. You can find out more in our crowdfunding A-Z directory. If nothing else, crowd investors help to top up more serious investments from business angels who see it as more of a profession. When thinking about what type of angel investor is right for your business – it’s important to think about exactly what you’re hoping to achieve from any investment. Who tends to become an angel investor? Typically business angels have already made their fortunes through other business ventures, possibly their own start-up or via a career in business. Most are men aged between 45 and 65. However, investors can be younger – particularly in the technology sector. What makes angel investment attractive? One of the biggest attractions for investors – most of whom will understand that alongside some ‘winners’ a handful of their investee companies will fail or not provide huge returns – are the tax incentives. The Enterprise Investment Scheme (EIS) with tax reliefs of up to 30% relating to income tax, capital gains, loss relief, and capital gains tax deferral, makes investing between £500 and £1m highly tax efficient. Investors can reduce their tax burden by up to £300,000 in a single year. Companies that qualify for the Enterprise Investment Scheme are far more attractive to investors and can raise up to £5m in a 12 month period. They have to be unquoted, employ less than 250, must be independent (so not a subsidiary), and have assets of less than £15m. The Seed Enterprise Investment Scheme (SEIS) was launched in 2012 to encourage a greater degree of investment in newer, smaller businesses requiring less capital. Again, angel investors get very attractive tax reliefs. They can invest up to £100,000 in a tax year across a number of companies and receive up to 50% tax relief. Companies cannot raise more than £150,000 using SEIS, have to be UK businesses in their first two years with assets of less than £200,000, and employ less than 25. Depending on the tax year an angel investor backs a company they also pay no capital gains tax when they sell their shares, meaning SEIS reliefs could reach 78% (tax year 2012/13) or 64% (tax year 2013/14). Angel investors are encouraged to self-certify as either a high net worth or sophisticated investor, as defined by the Financial Conduct Authority (FCA), which was formerly known as the Financial Services Authority (FSA). Business angels can operate independently or as a syndicate – there are a number of angel networks operating around the UK that allow business angels to collaborate together and co-invest. This tends to occur because there are a number of individuals interested in particular opportunities but it is also another way of managing risk. David Grahame, director of LINC Scotland, explained that the Scottish business angel network encourages investors to work together as a group. This is because 40% of all angel investments are lost. Only the top 20% achieve more than a 50% return. To avoid losing a lot of money on one big deal, an investor needs to make a number of investments and spread the risk. A recent online addition to this is SyndicateRoom, which describes itself as “intelligent equity crowdfunding” and puts seasoned investors – such as business angels, angel networks, syndicates, venture capital firms, and accelerators – alongside members. The lead investor acts as the introducer of the deal and negotiates terms and the valuation of a business in advance. SyndicateRoom members can then join the fundraising, meaning the value placed on the business has come from an objective source, rather than the entrepreneur. The site also handles the legal aspects and transfers the funds. In a related development, Crowdcube and AIM-listed Braveheart Investors recently announced the creation of a venture fund to provide co-investment for successfully crowdfunded ventures on Crowdcube. The Crowdcube Venture Fund will enable Braveheart investors to put a minimum of £2,500 into companies that have raised at least a third of their round on Crowdcube. What can business angels offer? Business angels are able to offer a cash injection for relatively small amounts that would not otherwise be available through venture capital. Investments can be anywhere between £5,000 and £250,000 although in practice most investments are in the region of £25,000. Some individual investors will go higher if they truly believe in an entrepreneur or their concept, but investments of £150,000 to £1m from a single backer are exceedingly rare. With an increasing number of angel syndicates and a new breed of ‘super angels’ (who are investing increased amounts of money and offering extensive business support) it is possible to raise considerably more. In addition to a first investment, business angels often follow up with later rounds of financing for the same company. How does angel investment differ from venture capital investment? As angel investors are individuals, investing their own money, they are able to take more risks than venture capital (VC) firms and can therefore invest in more early-stage or seed start-ups. VC firms invest through managed funds, which are raised with public or private money and they are bound by administrative restraints and a need to see a profitable return quickly. In addition, venture capital investment tends to be in excess of £1m, although as discussed there has been a recent rise in larger angel investments. The nature of the two different investment types also varies, angel investments tend to be more hands on – businesses will normally pitch to individual angels directly – and the timeframe of the investment is more long-term. VCs are more focused on instant returns and rapid exits. What are angel investors looking for when making an investment? Whilst angel investors are obviously looking for business ideas that are both exciting and have the promise of growth, equally importantly, if not more so, is the people behind each business. Angels want to back entrepreneurs they believe in. Of course, the business plan also needs to be sound and they’ll want to negotiate a good deal. For more advice on how to secure angel finance, browse our angel finance channel. and Growing Business has compiled its own list of the best ‘super angels’ here.